With our recent trip to Seattle and Alaska, Dad and I can now cross another item off of our bucket lists, and for him, he has now visited all fifty states. I am jealous, because I am only at 32. 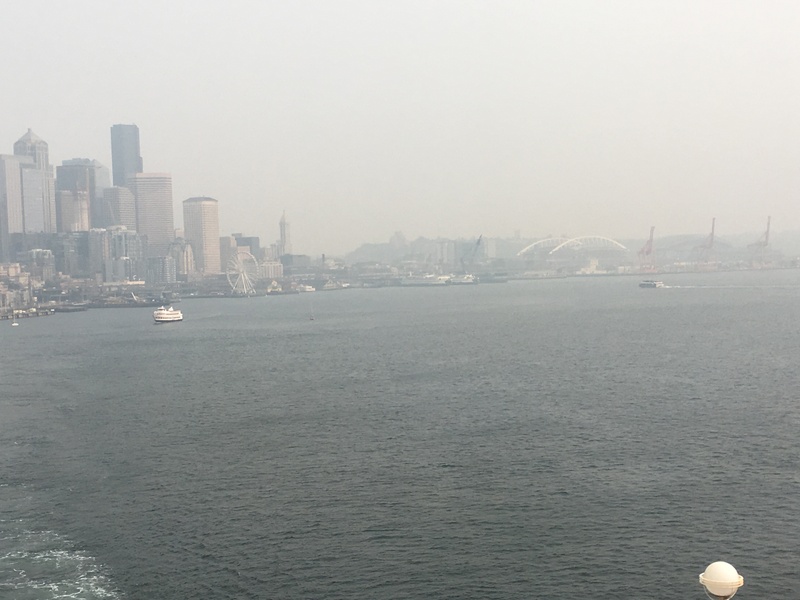 Our visit to our two northern-most states filled us with both wonder and sadness—wonder at the beauty and vastness of Alaska coupled with sadness at seeing climate change in action with the burning of the California wildfires, which filled the air around Seattle with what looked like heavy fog, and the viewing of the melting glaciers. 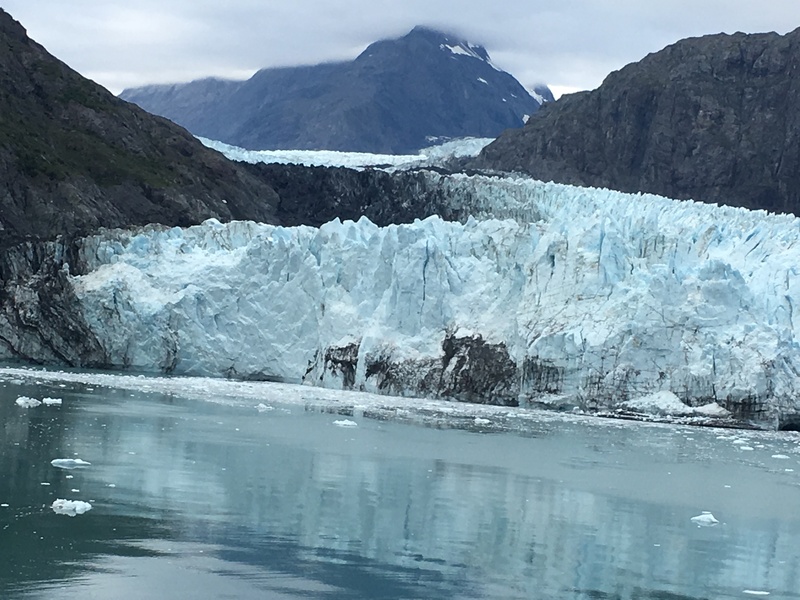 Alaska is a lonely state, with some towns so small that they have access to a physician or dentist only once a month. Food is expensive because it needs to be brought in by trains or boats, and winters may see up to 20 feet of snow in some areas. While I don’t fear heights as much as Casey and Jamie, there are some circumstances which cause me great unease, which is why I purposely sat on the right side of the Gold Rush train heading down the mountain. We were warned that the train travels perilously close to the edge of the mountain, so I wanted to put my fears to the test. 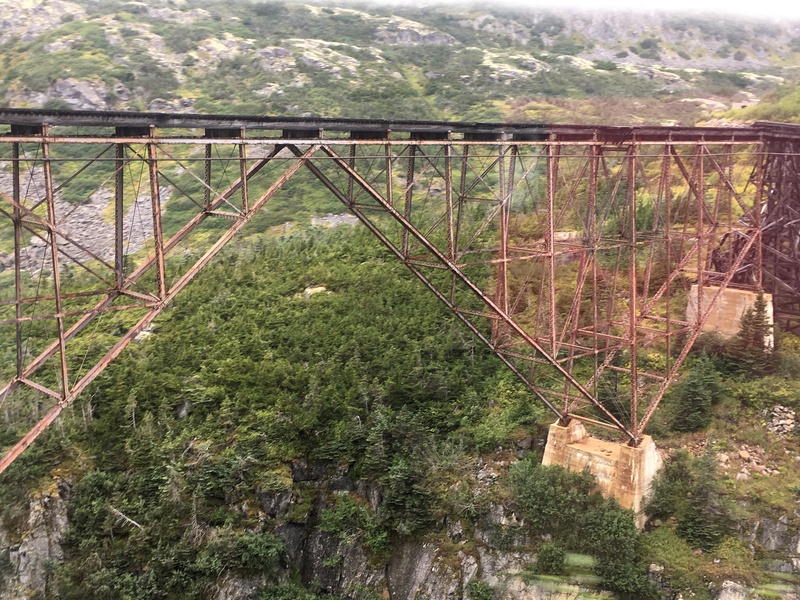 Despite traveling over some rickety old wooden bridges, I was able to look thousands of feet down and out the window of the right side of the train. Learning the stories of the people of the Gold Rush Era was sobering. Thousands of people packed up their bags and traveled to the Yukon Territory of Canada in hopes of discovering gold. They were not prepared for the brutal winter, which prevented them from continuing their travels in search of riches until the end of winter. 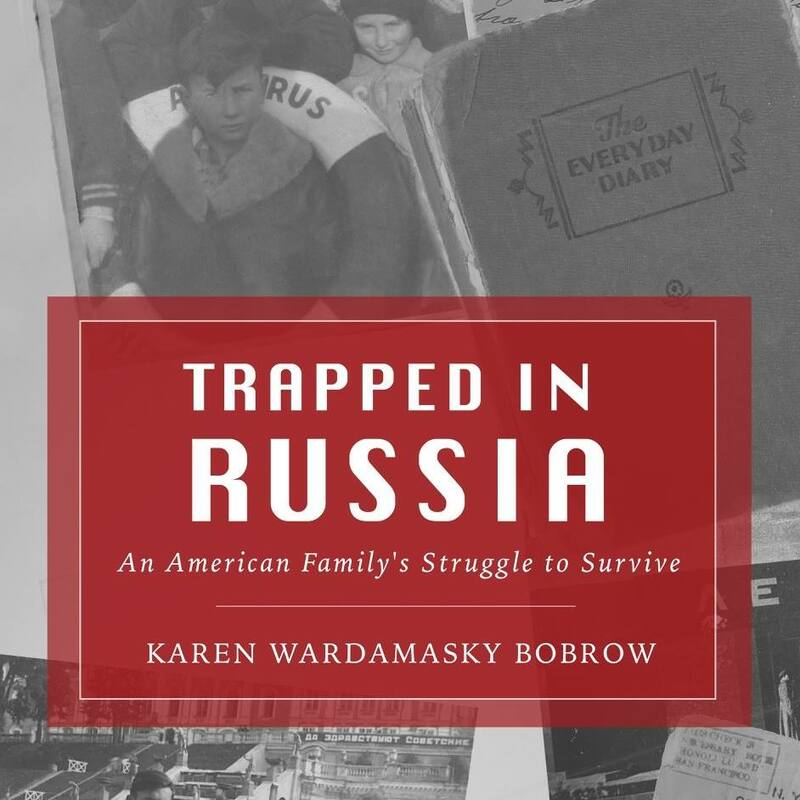 Thirty thousand people were stuck in tents for months with only the food that they brought with them. I will have to think of them the next time the temperature hits the teens here and I have to go outside of my heated house into my heated car. I would never survive a single Yukon winter in a tent. 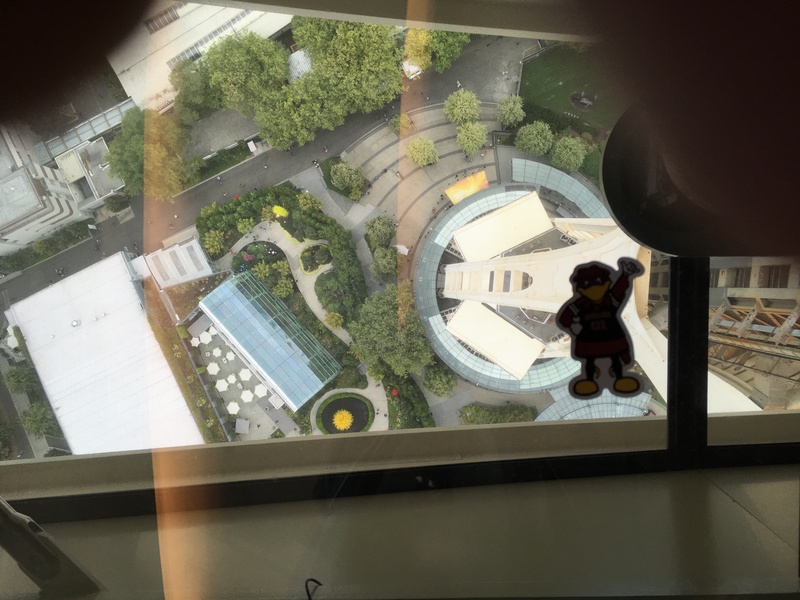 Walking around the top of Seattle’s Space Needle was a height test which I did not pass, since I was unable to stand on the glass floor. While I could stand adjacent to that floor and peer downward, only Dad and Flat Cocky had the guts to actually stand or lie down on it. I need to work on my height problem. I was given a very unique gift from Aunt Linda. It is a cutting from a plant which has been passed down from her grandmother to her mother and now to Dad and me. I feel a mixture of honor and panic because I do not have the best track record when it comes to house plants. Remember how I killed the plant that our friend Margaret gave me, which was so upsetting because it was my one living link to her after her death? A little research has calmed my fears. Apparently, this particular plant is one of the easiest plants to care for and can actually “be neglected for weeks at time.” Now that is my kind of plant! It can allegedly survive low light, insect attacks, draught, famine and alien attacks. The proper name is a Sansevieria, which I prefer to its more commonly known name—Snake Plant. 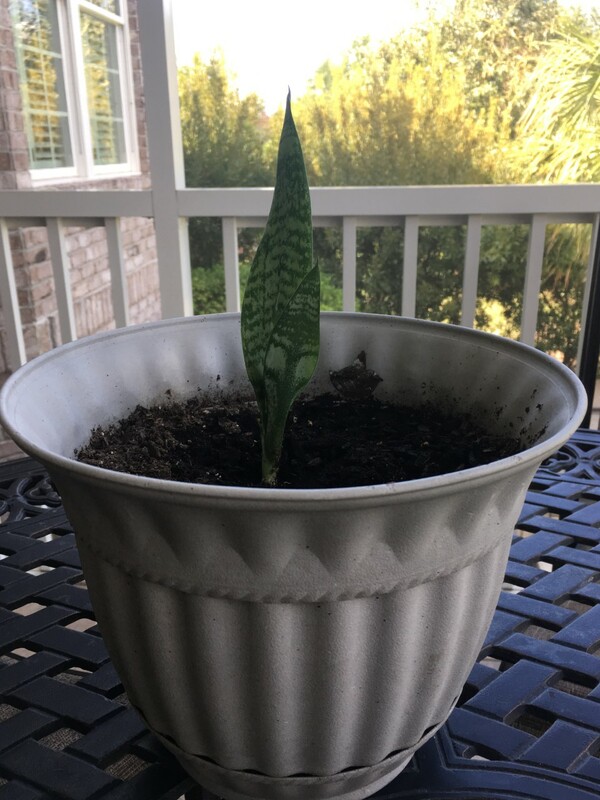 Sansevieria has a classier sound and does not bring me back to the boa constrictor incident in third grade nor the images of a poisonous snake slivering toward my house from the pond behind us. Still, this sounds like a plant I may not kill and it has now survived 3 generations. I will keep my fingers crossed. We have a budding horticulturist in the family. (Pun was definitely intended!) At just 2 ½ years old, Lily has surprised us with her interest in flowers, trees, bushes, and herbs. During each visit to my house, she insists on going outside to check out all that is growing. She points to each flower, tree, and bush and asks, “What is that called?” Sometimes, I do not know, so I am brushing up on the names of each plant in my yard. She is beginning to recognize some, already identifying my crepe myrtles, roses, lilies (that’s a given), basil, and lantanas. Sometimes she cannot recall the name, but if I walk to a specific area and ask her to point out the lantana or the Mexican petunias, she has no difficulty answering correctly. We pick a few flowers and then carefully place them in a vase so she can admire the plants while inside my cool, air-conditioned house. I believe her plant fascination began after I showed her my pumpkin garden, so our pumpkin patch is always the first stop on our walk around the yard. Sadly, I am concerned about the possibility of even a single pumpkin surviving because they are apparently tasty snacks for our local deer, rabbits, and squirrels. “Oh, no, Grandma!” she cries each time as she sees another flower bitten off the plants since her last visit. 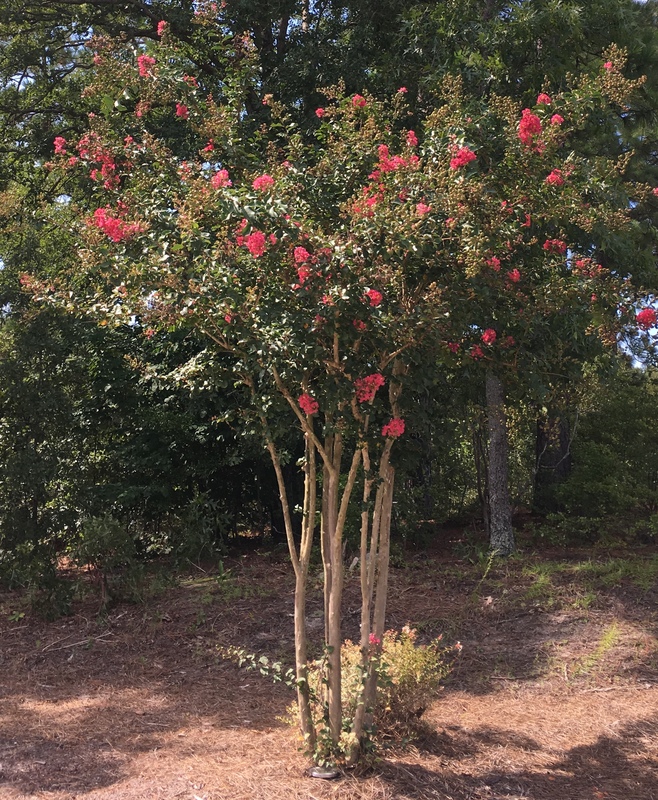 On a recent visit downtown, she pointed out all the crepe myrtles she saw as she gazed out of the car window, and on a trip to an uncle’s home in Asheville, she was equally inquisical about the names of his plants. What will her future bring? Que Sera Sera.